Hi all, I've been a bit absent of late but don't pancake, I'm back and have a few wee posts planned! SO yesterday was my birthday, I turned 27 argh! 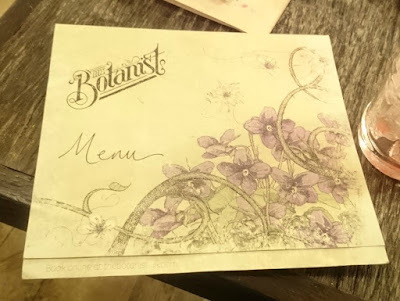 To celebrate, me and Matthew (the boyfriend) decided to have our first experience of the The Botanist at Trinity, Leeds. Yes, Yes I know... where have I been? Why haven't I tried it before? yada yada, well I'm a hermit so shush haha. As the name would suggest, there were a lot of garden/planty type things. I'd describe it as a very fancy, chic and trendy (large) garden shed. Matthew says it's rustic and told me I had to put that it... haha. The attention to detail is fab, the menus are gorgeous and even the little plates were cute. 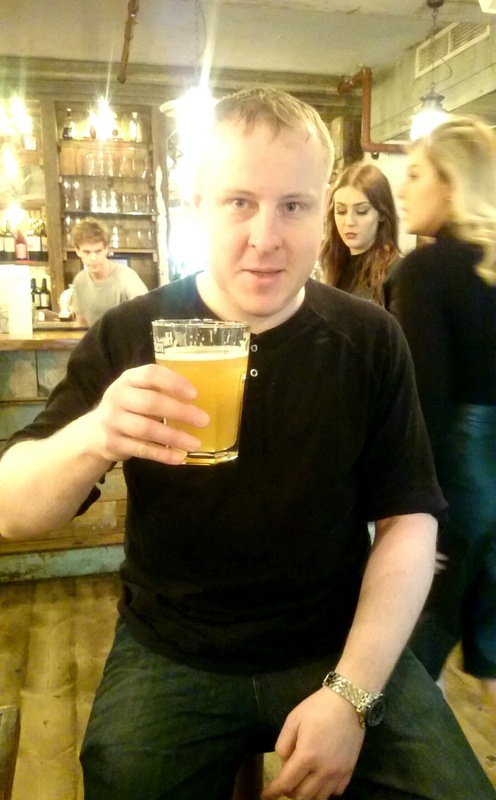 They even had a little ale anthology book on the table which kept the boyfriend entertained. It being my birthday, I felt it my duty to sample the cocktail menu. I'd have myself down as quite the pro cocktail drinker, so seeing what was on offer; original cocktails and twists on classics definitely pleased me. 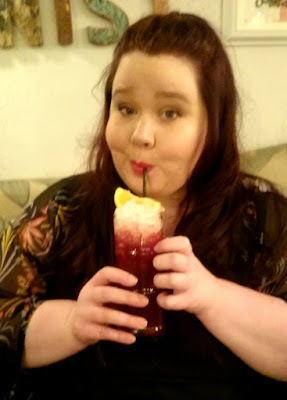 I started off with a blueberry and apple cooler (£7.50), a vodka based drink which was sweet but balanced and absolutely yummy. I followed that with with the blackberry and rosemary fizz (£7.50), this time a gin based drink, more delicate in flavour but still gorgeous. 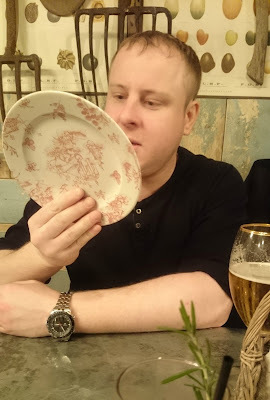 The rosemary was interesting and was a feast for the olfactory system more than taste. The other half (not a big cocktail drinker) was happy to learn that they had Stella on tap and even branched out to Hoegarden on my recommendation. Now if you follow me on twitter, you might know that I won a round of free mojitos for two so we also had these. I had a raspberry one and Matthew had a blueberry one. 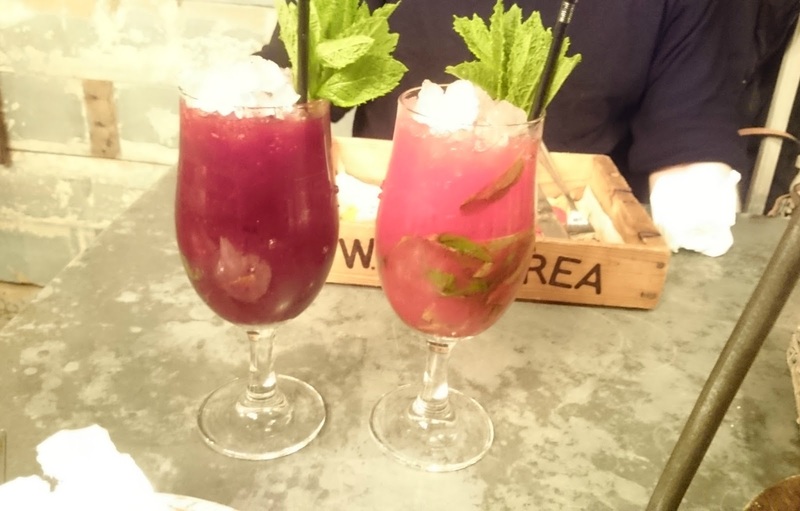 I'm not usually a mojito fan but these were fab. I decided on a 'Hanging Kebab' (£10.50) once I'd gotten over my very dirty mind. It was gorgeous. There was chicken, mushrooms, red peppers and onions handing on a skewer with a sweet chili marinade and garlic butter poured over which seeped into the chips below... I'm salivating just thinking about it. 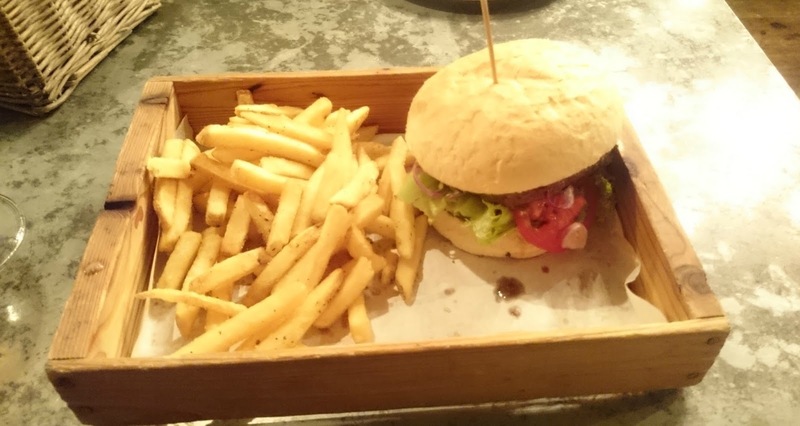 The other half opted for the beef burger (£9.95) with added blue cheese (+£1.25), he was very impressed. The presentation was also fab, his burger came in a small crate-like-box which was very in keeping with the theme. We booked in to eat and the booking process was easy, despite a very small hiccup with booking times which was absolutely fine. Our Server, Zoe, was lovely, her makeup was very sparkly which I liked (it makes a difference OK!!) and not too overbearing which was great. All the staff seemed lovely. Overall it was a lovely wee lunch, the ambiance was good and the food and drinks were fab. Even Matthew (not one for meals out) had to agree that it was reasonably priced for the food and it was well worth it. 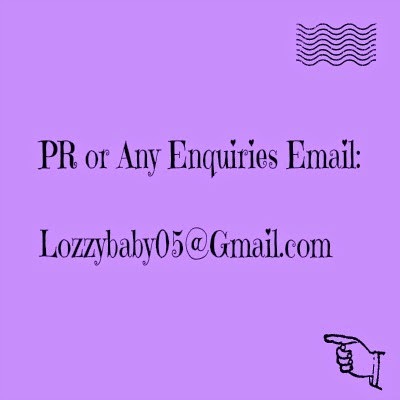 If you want to check them out then the link is here. If you are in or near Leeds you should definitely try them out.